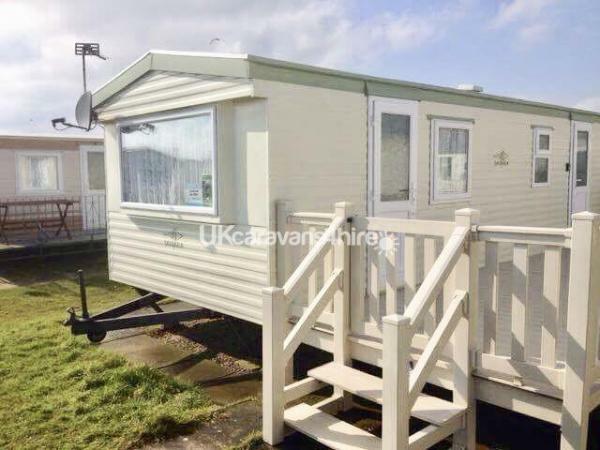 This is 1 of 11 caravans we have to let (9 on kingfisher,1 in butlins & 1 on Golden Palm) We take pride in all our caravans and check each caravan between lets. 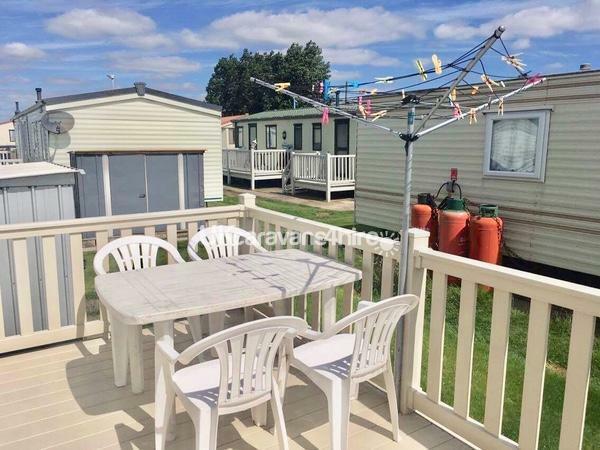 Please be advised we are now allowing pets in this caravan by prior arrangement. 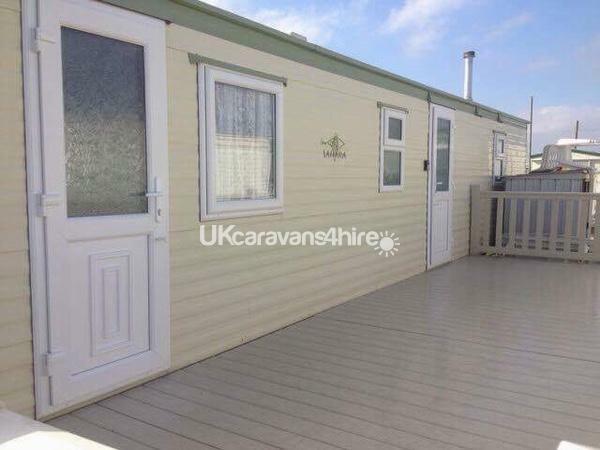 This caravan has 3 bedrooms (1 double and 2 twin). It has a separate shower room and toilet. The kitchen has everything you need to cook and prepare a meal for 8. It has a full size cooker, fridge with icebox & microwave. The lounge has a new 32 inch LCD TV & DVD player as well as a playstation 1. We have also had a sky dish installed so you can bring your sky box from home to enjoy all the channels you pay for. It has had a new carpet and upholstery new for the 2017 season. Outside there is a large UPVC gated veranda with a patio table & chairs. There is a washing machine and rotary airer in the shed which is free to use. We also supply high-chair, pushchair, travel cot, bed guard, bottle warmer & microwave steriliser. These are available free of charge.